Auburn Hills, Mich. – Laying the groundwork for the future of the Chrysler Brand, the all-new 2015 Chrysler 200 is making its way into dealerships and onto the road with a bang with more than 10,000 vehicle orders placed on the very first day the vehicle ordering system opened on Thursday, May 8, and more than 17,000 vehicle orders of the all-new 2015 200 have been placed in the first two days. The Sterling Heights (Mich.) Assembly Plant (SHAP) is at full production through mid-July and orders continue to roll in. With a starting U.S. Manufacturers Suggested Retail Price (MSRP) of just $21,700 (excluding destination), the all-new 2015 Chrysler 200 is available in four different models: the 2015 Chrysler 200 LX model, Chrysler Limited model, Chrysler 200S model and the premium Chrysler 200C. With a segment-first standard nine-speed automatic transmission, electronic shifting with a rotary e-dial, an innovative available all-wheel-drive system that reduces parasitic losses with a disconnection rear axle, exceptional ride and handling characteristics and safety and security features typically found on vehicles that cost thousands of dollars more, the new 200 is a car drivers will enjoy driving. Consumers have a choice of two world-class engines, the 3.6-liter Pentastar V-6 engine which produces a best-in-class 295 horsepower and 262 lb.-ft. of torque, or the standard 2.4-liter MultiAir2 Tigershark I-4 engine produces 184 horsepower and 173 lb.-ft. of torque and achieves a highway fuel economy rating of 36 mpg. 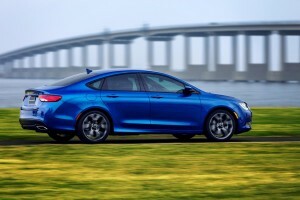 The all-new 2015 Chrysler 200 features an award-wining interior which is loaded with standard and optional features not found on other mid-size sedans including a clever center console with the most available interior storage space in the segment , sliding cupholders, multiple power outlets and a unique pass-through storage space accessible to both the driver and front seat passenger. 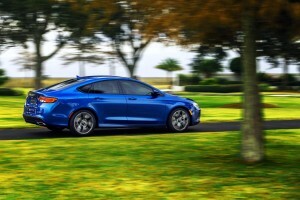 The all-new 2015 Chrysler 200 is where exquisite style meets exceptional performance. The Chrysler 200 leapfrogs expectations for a mid-size car with an elegant exterior design, a thoughtful, beautifully crafted interior and an exceptional driving experience complements of a segment-first nine-speed automatic transmission and an Alfa Romeo-based chassis. With highway fuel economy of up to 36 miles per gallon; the most available safety and security features in the segment with 60; an available, best-in-class all-wheel drive system; easy-to-use, state-of-the-art technology and a starting U.S. Manufacturer’s Suggested Retail Price (MSRP) of just $21,700, the all-new 2015 Chrysler 200 is a car that customers will be proud to own, at a price they will appreciate. The 2015 Chrysler 200 is designed, engineered and built with pride in Michigan. 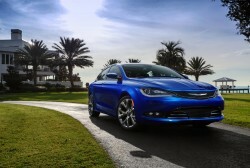 CLICK HERE to get a FREE ONLINE PRICE QUOTE for your 2015 CHRYSLER 200 from a dealer near you. Absolutely NO OBLIGATION.